"This system will not be integrated neither with NATO's systems nor with any other somehow connected to NATO's national [military] systems," the minister said during an annual US-Turkey conference in Washington. He vowed that the decision would not change any of Turkey's commitments to the North Atlantic Treaty Organization (NATO). The Turkish minister also expressed hope that other NATO countries would also keep their commitments to Turkey. 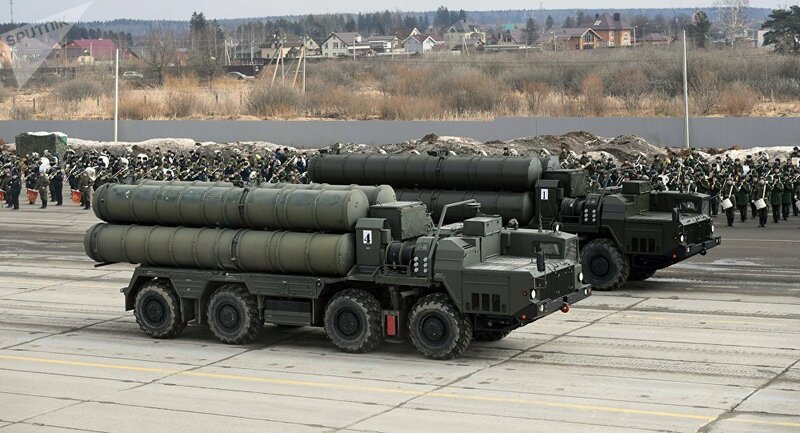 "The procurement of the S-400 is not an issue," Akar said. "We believe that all disagreements can and should be resolved." Commenting on the tecnhical discussions with the United States, the minister noted that Turkey was ready for them and it would address concerns over Ankara's procurement of Russian S-400 air defence systems. "We are prepared to engage in technical discussions to address US concerns over the S-400 procurement," Akar said adding that Turkey's move to acquire the S-400 purchase is a "national decision." The remarks come after earlier this month, the Pentagon announced that Washington halted deliveries and activities with Turkey on its F-35 fighter jet programme over Ankara's decision to purchase S-400 air defence systems.